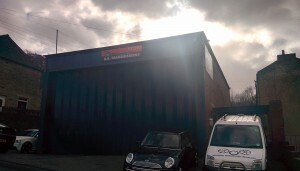 BA Transmissions Ltd is a family run business with nearly three decades of experience in diagnosing, repairing and reconditioning automatic transmissions. Based in Keighley, West Yorkshire, we aim to provide our customers with a quick diagnosis of their transmission problems, as well as a plan of action to repair it. As well as private customers, we also provide automatic transmission repair/rebuild services for a number of garages, with some transmissions being shipped overseas to be reconditioned by BA Transmissions Ltd. If our reputation isn’t enough, all of our work comes with a warranty, allowing our customers to drive away with the peace of mind that, in the unlikely event that f something does go wrong, we will take care of it. We will never begin work on a vehicle or transmission without first consulting our customer and providing as accurate an estimate as is possible, so you can be sure that there’ll be no nasty surprises when you get your invoice. Quality is key for BA Transmissions Ltd. We guarantee our work so it’s in our best interests to make sure it’s done well.